Sgt. 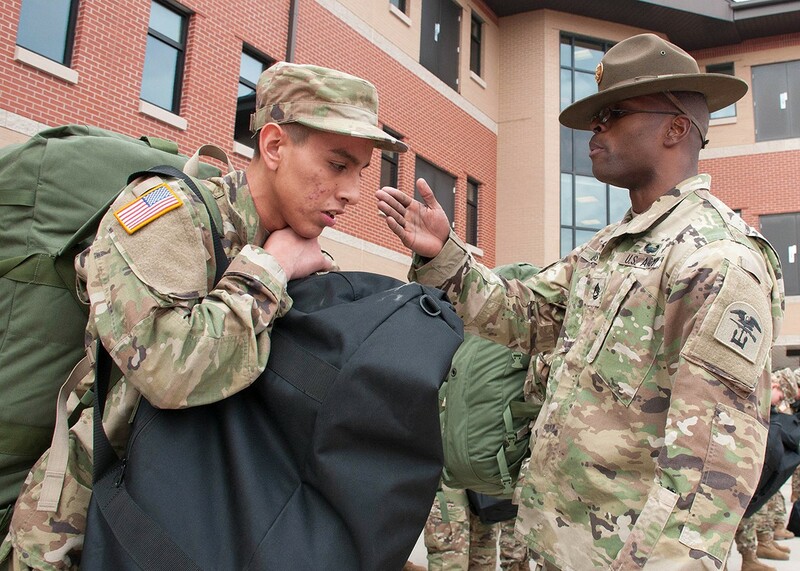 1st Class Andre Evans, drill sergeant with Company D, 31st Engineer Battalion, provides motivation to a new Soldier on his first day of training Tuesday. Look for the full story in the Feb. 9 issue of the Fort Leonard Wood GUIDON.